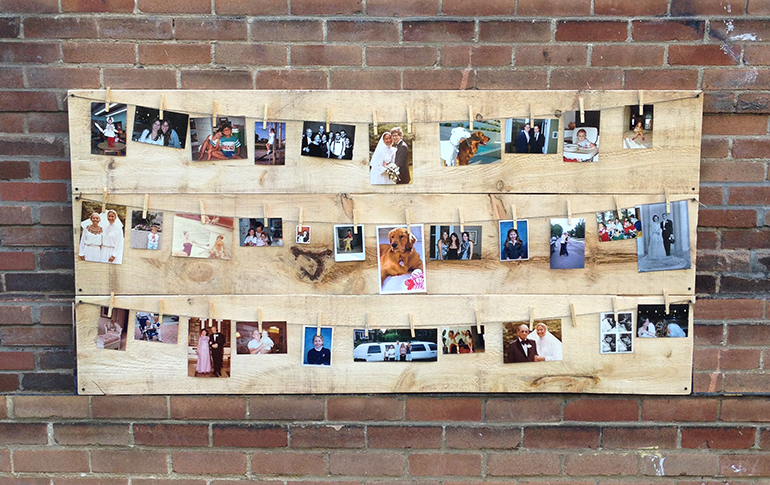 A fun and original way to easily display and change up photos. 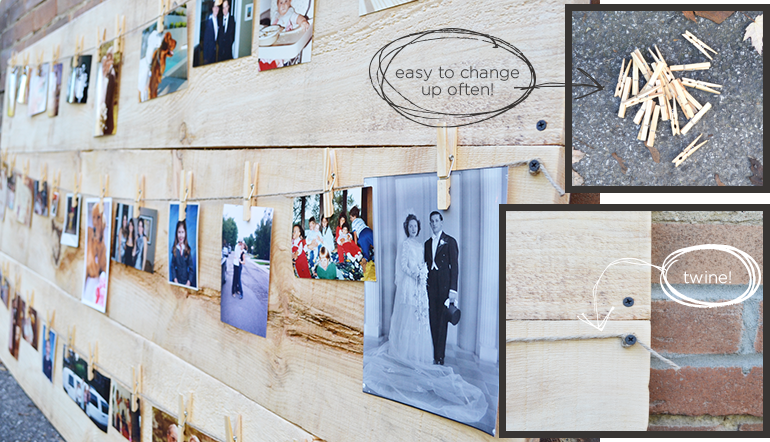 Chunky barn wood, twine and clothes pins! 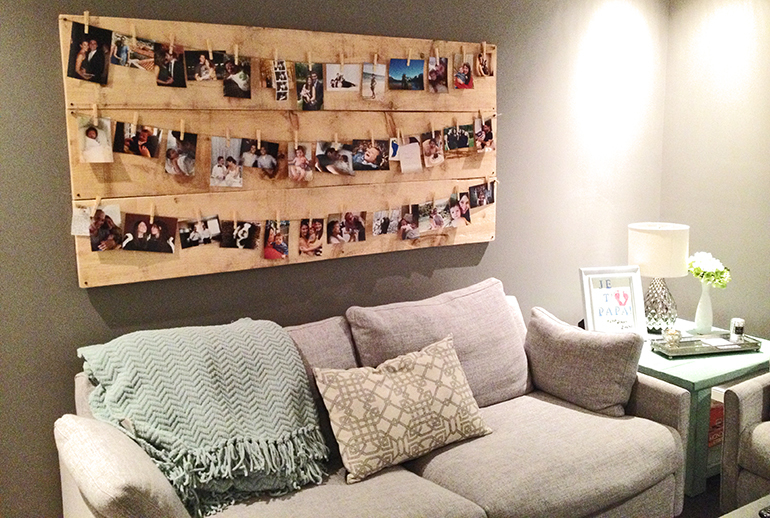 Hang it over the sofa in your family room to make a statement and display your treasured photos of family and friends.